Barbecue. It's a staple for the summer and with spring finally here, I got a little excited and needed to make a batch. 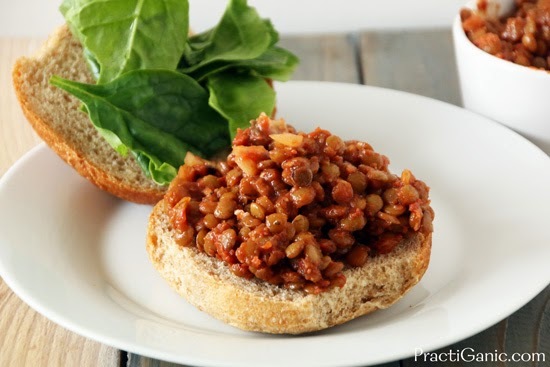 Lentil Barbecue is the perfect example that anything can be turned vegetarian and even vegan. I'll never forget one summer I made this for a camping trip. Paul and I were having lunch when my friends mom asked what we were eating. She was utterly confused and proceeded to ask, "How could that be barbecue, doesn't it have to have meat to be barbeque?!" It made me sad to think how much of our culture believes that meat = dinner. Truly anything that is usually made with meat can have a vegetarian counterpart, and a very tasty one to boot. Let's start thinking outside of the box, and make some great veggie food! I love making big batches of this and putting some in the freezer. Cook lentils in water. Drain. Puree your tomatoes using a hand mixer or blender (it should be about 1 1/2 cups). Add in the remaining ingredients to your tomatoes and mix well. Add in cooked lentils. Taste and adjust salt and pepper if needed. 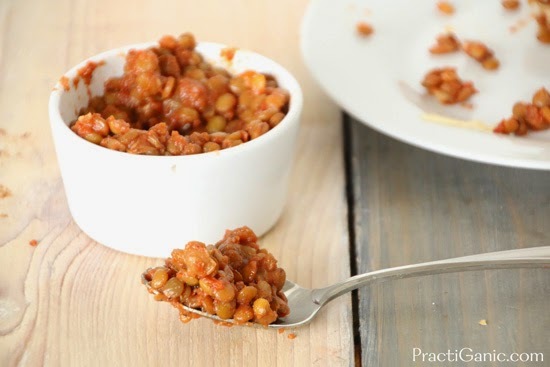 In an oven-safe dish, pour in the lentil barbecue. Bake at 350º for 45 minutes or heat in a crock pot on low for 3-4 hours. 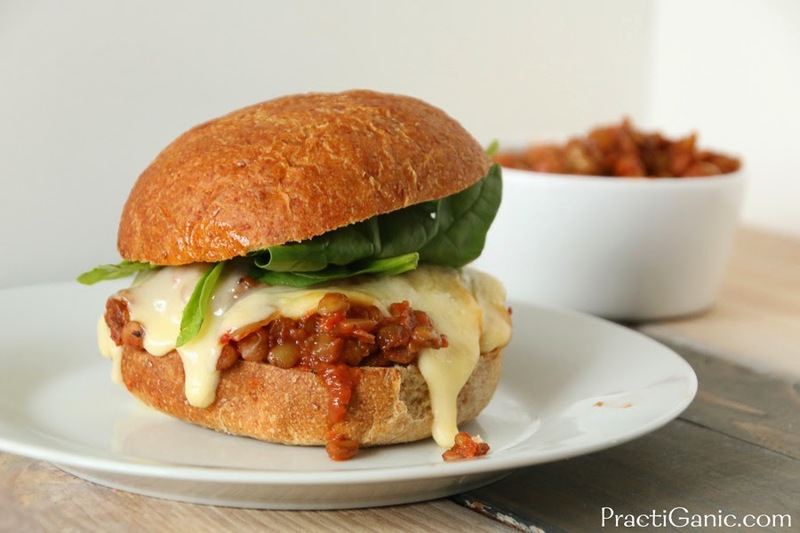 For me, lentil barbecue is best served on a bun with some greens and a little cheese. YUM!!! Thanks so much for this recipe, Ashley! 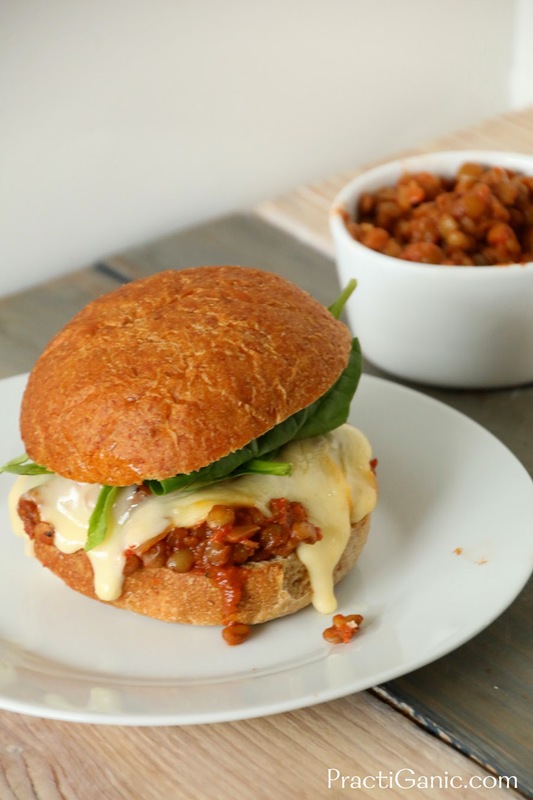 It's a perfect vegetarian Sloppy Joe and definitely a keeper. Tonight was my second time making it for dinner - YUM!!! Now for my confession: I was lazy and used store-bought crushed tomatoes as a short cut which worked great. Per your suggestion, I served it on a bun with melted cheese. Meatless Monday perfection. This brings you my appreciation.